Two-DVD set. 33 Springsteen videos are included for this title's long-awaited DVD release. 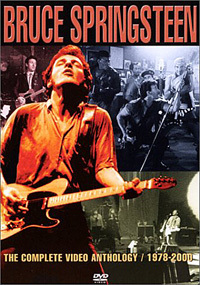 The original Anthology collected 18 Springsteen videos from 1978-1988; those 18 clips form the line-up for disc one of this 2-disc set. The Video Anthology 2-DVD set, with all 33 tracks, runs over two hours. Digitally mastered, with Dolby Digital 5.1 Surround Sound, PCM Stereo, interactive menus and instant chapter access.